LeBron James dubbed Tom Brady GOAT after the legendary New England Patriot's quarter-back clinched a record sixth Super Bowl ring. LeBron James hailed Tom Brady as the greatest of all time following the New England Patriots superstar's record sixth Super Bowl victory. Brady made history in Atlanta, where he became the most successful NFL player after the Patriots defeated the Los Angeles Rams 13-3 on Sunday. 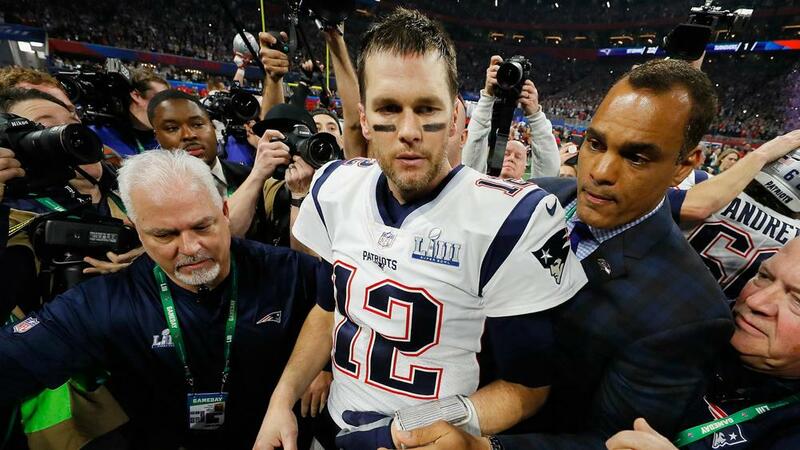 The 41-year-old quarterback had been level with Hall of Famer Charles Haley on five championship rings but Brady moved to the top of the pile in his ninth Super Bowl appearance at Mercedes-Benz Stadium. From one superstar to another, Los Angeles Lakers and NBA great James heaped praise on Brady afterwards via Twitter. In a tweet, James included a 'goat' emoji and six rings in reference to Brady's record-breaking success. UFC star Conor McGregor, who attended the showpiece event, congratulated Brady and the Patriots. "Thanks Atlanta for a great welcome and congrats to Brady and the Patriots on a Proper 12 win! ", McGregor wrote in an Instagram post. Former Manchester United, Real Madrid and England star David Beckham also congratulated Brady and New England on social media. Tottenham striker Harry Kane and 2007 Ballon d'Or winner Kaka, who both watched from the stands in Atlanta, also applauded the franchise. Popular artist Niall Horan, meanwhile, tweeted: "The phrase 'The Goat' gets thrown around a lot but Tom Brady is actually the Greatest of all Time in his field. 41 years old and still winning championships of that level".